Building a cleaner, safer future for the world's sewer line infrastructure. 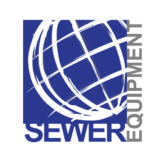 Sewer Equipment provides the highest quality and most innovative sewer cleaning products. 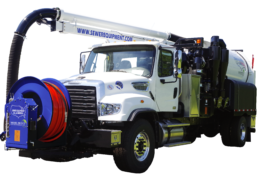 With a wide array of product offerings from high pressure, high volume trailer and truck-mounted sewer jetters, combination sewer cleaners, to rodders, bucket machines and easement machines, we have the equipment to help you get the job done right the first time. Producing water pressure at 4,000 PSI complemented with low water flow at 18 gallons per minute, Mongoose Jetters utilize 1/2″ diameter jetting hose to clean sewer and drain lines from 4 inch diameters and larger. Mongoose Jetters offers great sewer line cleaning versatility, capable of cleaning sewer laterals or mainline sewers between manholes. Increased water pressure at 4,000 PSI translates to increased cutting power to remove stubborn blockages, cut roots and to remove scale or hard grease accumulations. 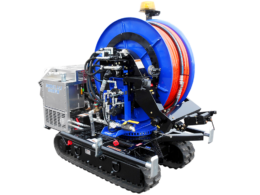 Mongoose Jetters allows sewer and drain cleaners to profitably tackle a wide array of pipeline problems. Mongoose Jetters offers a wide range of nozzles, attachments and accessories designed and tested to extract optimum cleaning performance out of every Mongoose Jetting unit in any job application. 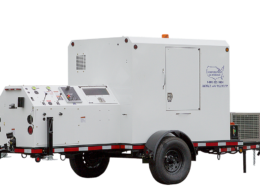 Great power, great features, and great value: The HX-1000, 2000, and 3000 is our trailer hydro excavator that stands head and shoulders above the best offerings of our competition. Great quality to the hydro excavation market. Power that is capability of a truck mounted hydro excavator on a trailer. 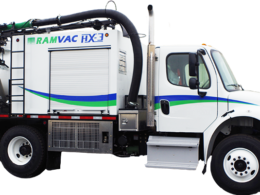 The industry innovator inventing this class of excavator, these RAMVAC units are designed with the urban environment in mind from the start! Downtown it is all about maneuverability and functionality as you navigate the side streets and boulevards of today’s urban environment. 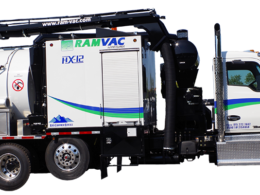 RAMVAC full size excavator is the machine for ALL applications! 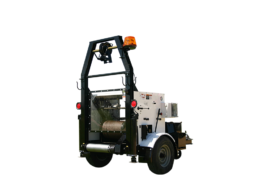 This machine offers the most compact footprint, some 36” shorter than the competition, and the largest carrying capacity, more than 2500lbs. greater than the competition. All this combined with our heated water system enclosure and simple/reliable electrical system yield the best value in the industry today. Cleans several sections without blocking traffic flow. Diesel or Gasoline engines available. Widest range of accessories & tools. Automatic loading of Trucks. Three different truck loader sizes available Heavy duty floating & dual scrolls available. 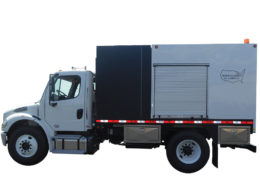 Sewer Equipment Company of America rodders offer a fantastic sewer cleaning alternative to those communities looking to conserve water, fuel and budgetary resources. This machine allows you the ability to cut roots all day without using a drop of water and only a small fraction of the fuel consumed by traditional jetters. Are you certain sewer pipes in your community neglected due to hard to reach manholes? Do your maintenance crews have to manually drag hose across easements or do they cause damage to yards, golf courses or environmentally sensitive areas when trying to get their trucks close enough to service these remote line? If this is the case, an easement machine would be an invaluable asset to your fleet. 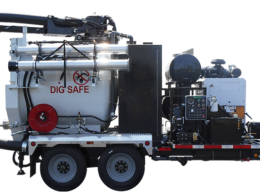 Offered in two configurations, JAJ-600WH (extendable track), and JAJ-600SK (skid mounted) units extend the reach of your sewer jetting truck or trailer by 500 feet or more and reduce sewer overflows by easing maintenance tasks. Generations of experience have resulted in the development of the most advanced water jet equipment ever produced. Experience has proven the importance of choosing the proper trailer jet for your particular safety and performance needs. We offer a wide variety of trailer jet equipment all based on the industry leading Model 747-FR2000 design. There is several varieties of truck jets. 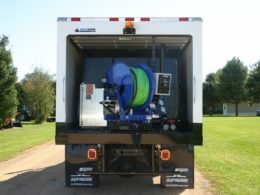 The top of the line 800-HPRTV Truck Jet is equipped with the innovative and unique Umbilical Cord* – this single construction cord houses both high pressure sewer hose and a video communications cable. This unit also comes with Dual Patented Telescoping/Rotating/Pivoting Hose Reels. When in operation, the rear roll-up door opens and the hose reels “Telescope” out of the heated rear compartment – and are now able to “Rotate/Pivot” 190 degrees for maximum access to difficult to reach manholes. To learn more about individual models click on the links to the left, or on one of the images below. 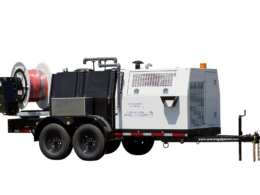 The 900 ECO Combination Sewer Cleaner utilizing proven technologies to deliver a machine with simplicity that is unequaled in the industry. As with our leading 747 ECO trailer jets and 800-HPR ECO truck jets, the 900 ECO operating platform offers the best in class fuel efficiency and noise reduction for operator safety.